Born and raised in Virginia, Dr. Mary Ruth Smith joined the Baylor Art Department faculty in 1993, bringing with her the maturity of a long teaching career in two fields of higher education. She has traveled from home economics to art education to art and, at Baylor, has created a studio concentration in fabric surface design. 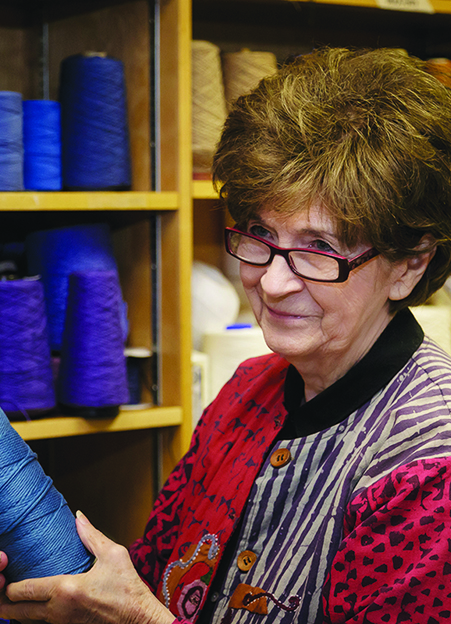 Key course topics include dyeing and printing fabrics, screening techniques, weaving, non-woven fiber/fabric structures and construction methods. 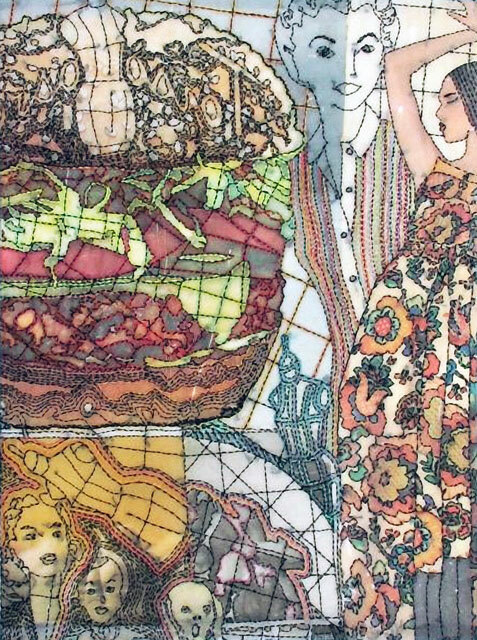 Over the past thirty years her hand stitched artwork has been exhibited extensively throughout the United States and in Canada, England, France, Italy, Korea, Australia, Taiwan, Romania, Venezuela and Ukraine. 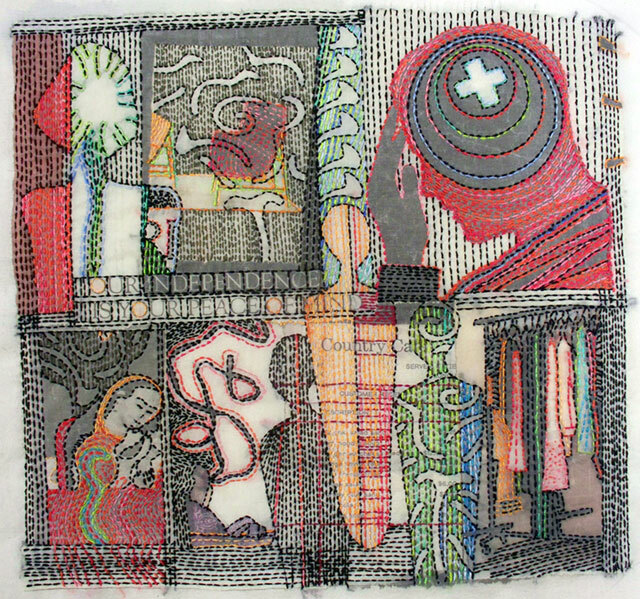 Recent international exhibitions include Quilt National 2005 & 2007; Visions 2006; Small Expressions at the Robert Hillestad Textile Gallery, University of Nebraska; From Lausanne to Beijing: 4th International Fiber Art Biennale at Tsinghua, University, Beijing; Man+Woman=Creation at the Costa Rica-North American Cultural Center in San Jose, Costa Rica; Scythia 6: International Textile Art Exhibition, Kherson, Ukraine; and Pojagis From American Friends at the 5th Cheongju International Craft Exhibition. 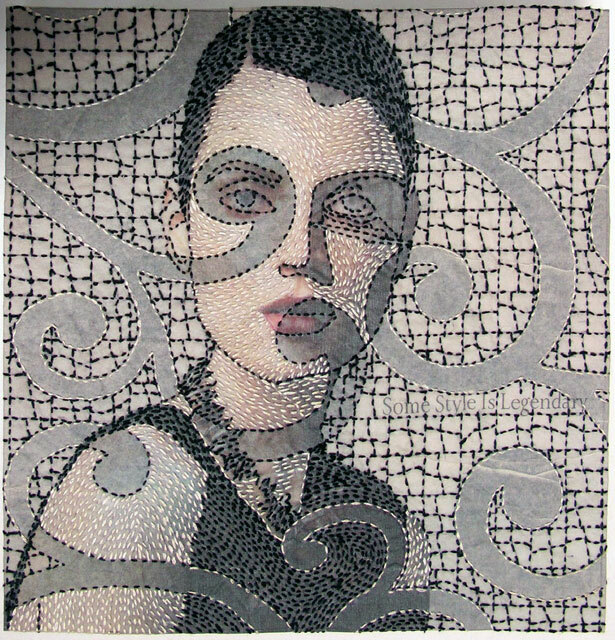 Her work has been illustrated in Fiberarts Design Books Six and Seven, Surface Design Journal, Embroidery Magazine, Shuttle Spindle and Dyepot, and Art Crowd. Throughout her teaching career she has taught numerous workshops and presented lectures for a variety of professional and lay organizations. Recent workshops were conducted at the last two International Surface Design Association Biennial Conferences held at the Kansas City Art Institute and at the 4th International Biennial of Textile Art and Design Conference, San Jose, Costa Rica. Lectures have been presented at Seoul Women’s University and Sookmyung University, Seoul, South Korea, the 5th Cheongju International Craft Exhibition, Cheougju, South Korea, the Fibres West Conference, Bunbury, Australia and at the National Art Education Association, Boston Massachusetts. Making art is an important activity in my life. 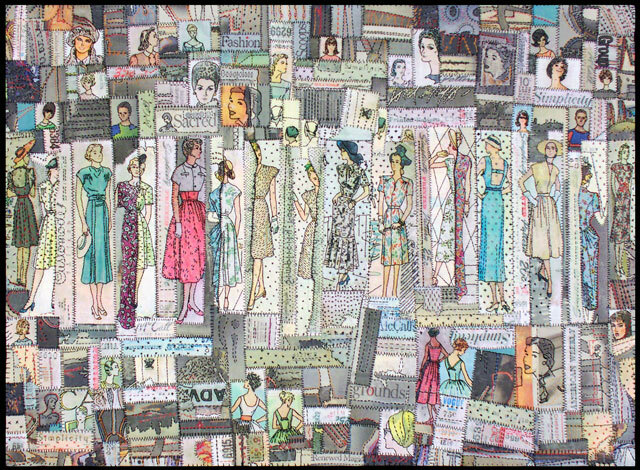 Using a needle and thread to create images on fabric has kept my hands, head and heart occupied most of my life. As a child I embroidered tea towels; as an adult I use embroidery stitches to create images on fabric for art’s sake. Over time, I have simplified my materials, limited my use of stitch to one of a kind for each piece, and for some pieces I have changed my working style to one in which I work on the non-stretched surface of dyed and appliqu’d fabrics. Ideas for imagery can come from anywhere and anything. I mix symbols from various cultures with common ordinary items. I believe this stems from the fact that the world is inundated with a wealth of visual images and any of them can be used in my work. 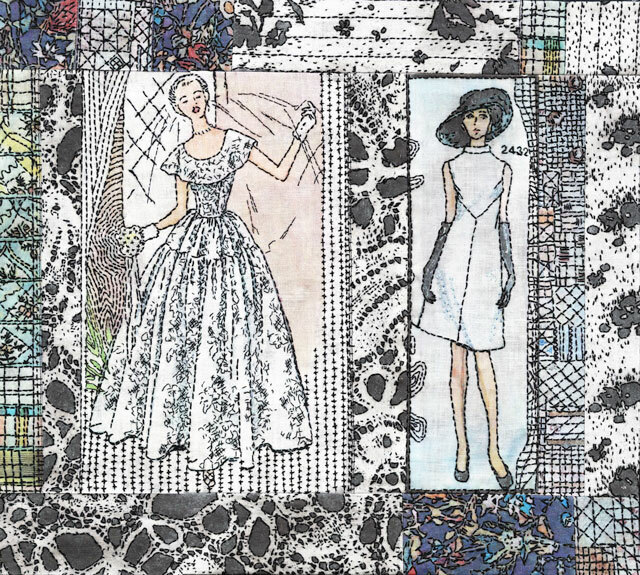 I am especially influenced by designs, construction methods and techniques found in fabrics, especially those from African, Korean and Japanese cultures, both contemporary and traditional. Teaching is definitely another important factor in my work. Many times I am led to complete an artwork that I have started to introduce a class or workshop assignment. It may or may not have any relation to influences mentioned above. It’s a feeling at the moment that guides my hands and mind. 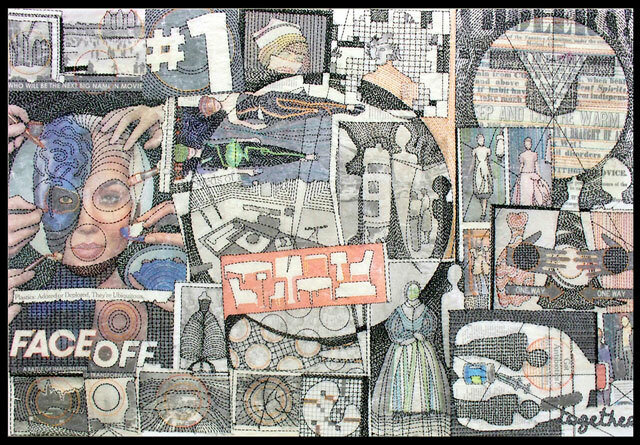 The piece is started intuitively and, many times, questions from students guide what happens on the cloth. When the demonstration is over, I take a second, more thoughtful look at what I have begun. If it has possibilities I proceed. Many times these pieces turn out to be more successful than the ones I plan with a more concrete direction for its being in the first place. I believe that a successful teacher must be both a practicing artist and an active participant in his/her chosen field of study. It is essential for the teacher to make and exhibit art and, at the same time, to stay abreast of current trends in order to present updated information on tools, materials, techniques and processes to his/her students. Concurrently, it is necessary to stress the importance of content and ideas and to showcase prominent artists, trends and issues. Every day is a new day when it comes to teaching. I enjoy interacting with students, working with them individually and in groups. My teaching approach is flexible in that I present the parameters for an assignment/problem and then allow students to think through the problem and solve it from their viewpoint. Many times, results of such openness are varied and often appear not to come from the original assignment. As long as the requirements are present, then I am satisfied with the diversity of the outcomes.